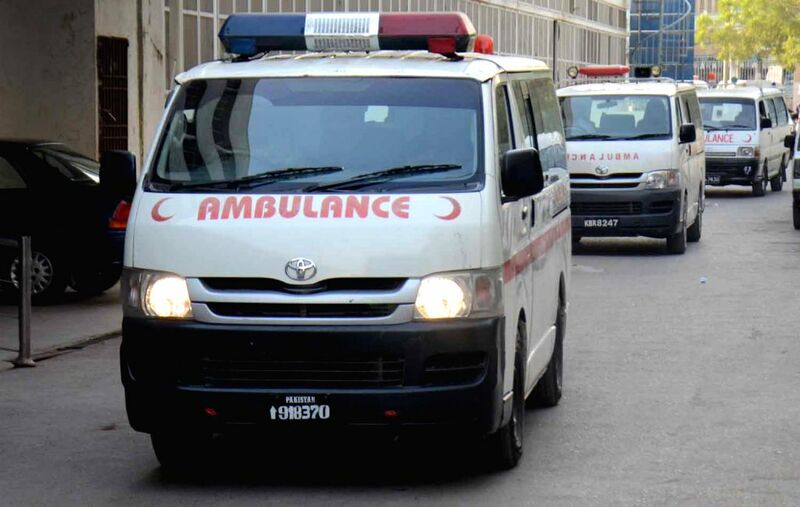 KARACHI, Nov. 20, 2015 - Ambulances carrying bodies of victims arrive at a hospital in Karachi, Pakistan, Nov. 20, 2015. 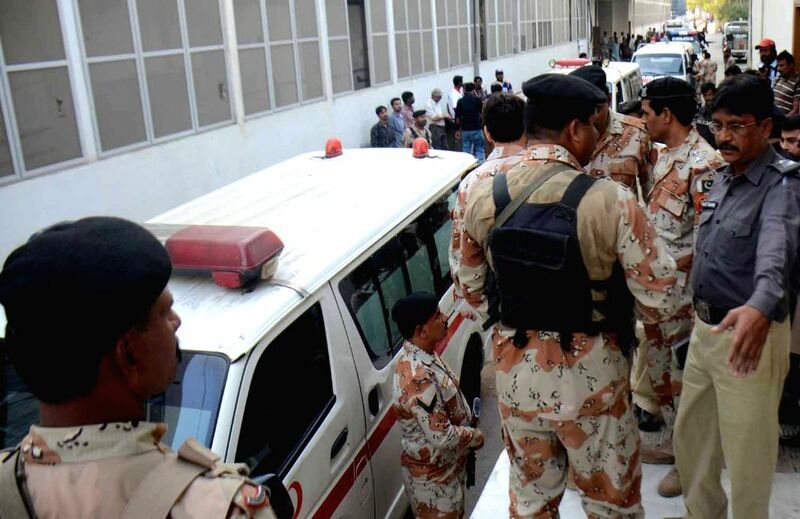 At least three Paramilitary troops were killed while stopping suspected militants from entering a mosque in Pakistan's southern port city of Karachi on Friday, officials said. 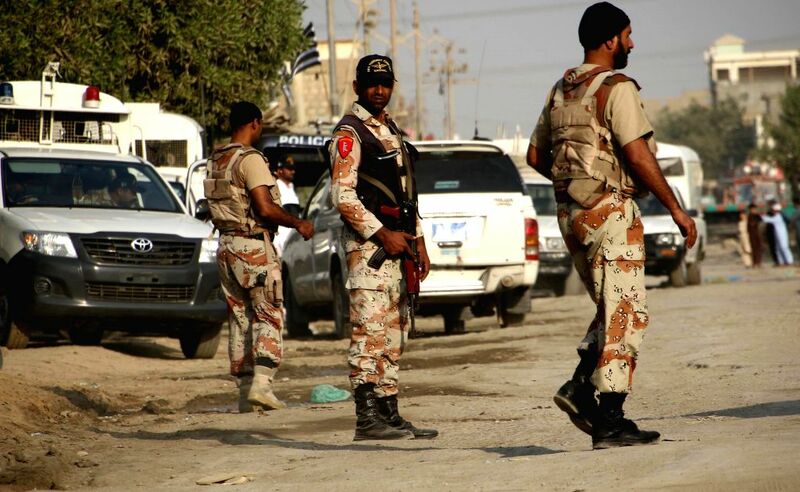 Pakistani security officials stand guard at the attack site in Karachi, Pakistan, Nov. 20, 2015.